Sociology of Immigration Sociology of Childhood & Adolescence Latina/o Immigration to the U.S. The new immigration to the United States is unprecedented in its diversity of color, class, and cultural origins. Over the past few decades, the racial and ethnic composition and stratification of the American population—as well as the social meanings of race, ethnicity, and American identity—have fundamentally changed. 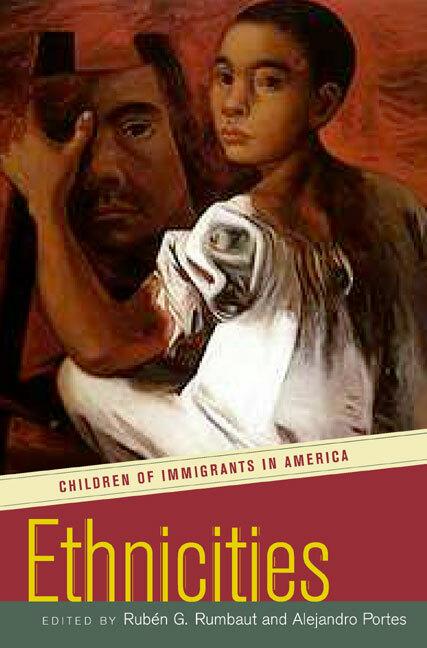 Ethnicities, a companion volume to Rubén G. Rumbaut's and Alejandro Portes's Legacies: The Story of the Immigrant Second Generation, brings together some of the country's leading scholars of immigration and ethnicity to examine the lives and trajectories of the children of today's immigrants. The emerging ethnic groups of the United States in the 21st century are being formed in this process, with potentially profound societal impacts. Whether this new ethnic mosaic reinvigorates the nation or spells a quantum leap in its social problems depends on the social and economic incorporation of this still young population. The contributors to this volume probe systematically and in depth the adaptation patterns and trajectories of concrete ethnic groups. They provide a close look at this rising second generation by focusing on youth of diverse national origins—Mexican, Cuban, Nicaraguan, Filipino, Vietnamese, Haitian, Jamaican and other West Indian—coming of age in immigrant families on both coasts of the United States. Their analyses draw on the Children of Immigrants Longitudinal Study, the largest research project of its kind to date. Ethnicities demonstrates that, while some of the ethnic groups being created by the new immigration are in a clear upward path, moving into society's mainstream in record time, others are headed toward a path of blocked aspirations and downward mobility. The book concludes with an essay summarizing the main findings, discussing their implications, and identifying specific lessons for theory and policy. Rubén G. Rumbaut is Professor of Sociology at Michigan State University. He is coauthor, with Alejandro Portes, of Immigrant America: A Portrait (California, 1996), and coeditor of Immigration Research for a New Century: Multidisciplinary Perspectives (2000) and Origins and Destinies: Immigration, Race, and Ethnicity in America (1996). Alejandro Portes is Professor of Sociology at Princeton University and Director of the Center for Migration and Development, Woodrow Wilson School for Public Affairs. He is the coauthor of City on the Edge: The Transformation of Miami (California, 1993) and Latin Journey: Cuban and Mexican Immigrants in the United States (California, 1985). Portes is the 2010 recipient of the W.E.B. Du Bois Career of Distinguished Scholarship Award from the American Sociological Association.